В сообщении на сайте ФИДЕ отмечается, что Нигалидзе признал свою вину и после злополучного турнира в Дубае сам отказался от участия в дальнейших соревнованиях. "Гайоз, я тебя прощаю, так как любой может ошибиться. И считаю, что надо дать человеку шанс, но только если он осознал свою ошибку. После твоего письма я думаю, что ты осознал. Но в шахматах, как и в жизни, есть ещё законы, которых надо придерживаться. Я также считаю, что ты должен быть дисквалифицирован за содеянное", - написал, в частности, тогда Петросян. "Учитывая признание вины и раскаяние, звание международного мастера за Гайозом Нигалидзе сохранено", - говорится в решении комисcии. Опубликовано Mark Watkins в 24 Декабрь, 2015 - 14:37. I do not claim to be a lawyer, but the revocation of the GM title might not strictly be valid. The FIDE Title Regulations say that (in parallel circumstances) the General Assembly needs to OK a title revocation, while the 2014 Code of Ethics changes were only passed by the Presidential Board. However, for the sake of closure, I wouldn't necessarily recommend that Nigalidze make a fuss about it. Опубликовано Mark Watkins в 24 Декабрь, 2015 - 15:36. If Nigalidze wants to appeal to the CAS, he has 21 days from his receipt of the decision to start the process. The CAS is actually designed to make it easy/cheap for athletes to appeal international disciplinary decisions, costing only 1000 Swiss francs in court fees. Looking at the paperwork again, I'm not even sure that FIDE revised the Code of Ethics in a proper manner, as the Nov 2014 Presidential Board decisions do not give it an alphanumerical designation as required (rather it approves only the EC Report, which is separate from the CoE proposal). Опубликовано Mark Watkins в 25 Декабрь, 2015 - 14:10. (0.41) Use of a FIDE title or rating to subvert the ethical principles of the title or rating system may subject a person to revocation of his title upon recommendation by the QC and the Ethics Commission and final action by the General Assembly. 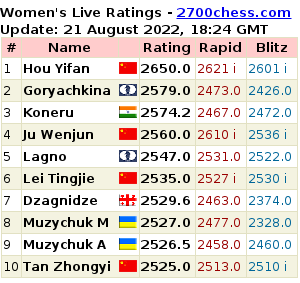 If FIDE wants to revoke Nigalidze's title(s), they should follow their own regulations, and refer the matter to the GA. I think he has a very good chance of winning an appeal at the CAS (including a possible reduction of the 3 year suspension), but that he'll still likely end up the ultimate loser, as FIDE could still revoke the GM title at the GA.
Опубликовано Андрей Девяткин в 25 Декабрь, 2015 - 19:30. Judging from Nigalidze's behaviour after the incident, it looks very doubtful he will file an appeal to the CAS or elsewhere. Even if he would make up his mind for it, he'd have almost no chance of winning. To me, the Ethics Commission decision seems fair enough - it's a good lesson for everyone thinking about cheating in chess, while not overly severe. Опубликовано ZOMG в 25 Декабрь, 2015 - 21:55. One may ask, what GM title per se is good for, in a first place? It seems to me, this is mainly a sign of status or testament of chess skill. May be, it can save a few bucks with participation fees in some opens or help in getting students. In Nigalidze case, his reputation is irrevocably ruined, so it doesn't really matter anymore his name prefix will read 'GM', 'IM' or 'FM'. There are much more important issues to tackle FIDE with than meddling with this rather minor legal lapse. Correct me if i am wrong. Опубликовано Mark Watkins в 27 Декабрь, 2015 - 01:19. Feller's reputation was/is "ruined", though now he is currently playing in open events and Croatian/Luxembourgish team events. I guess he still wants chess to be his life/career. Similarly, it could depend on whether Nigalidze wants to take up competitive chess again in 2018. Опубликовано Mark Watkins в 25 Декабрь, 2015 - 22:05. I agree that the EC decision is "fair", but that's not what the CAS would consider. They would look at whether FIDE followed proper procedures and legality in reaching its decision. Athletes who appeal to the CAS on grounds of "fairness" quite typically lose (the CAS defers to the sports organization as to what this word means), while those who appeal on pedantic matters are often successful (many sports organizations are just as inept as FIDE), at least in obtaining some reduction of the sentence. 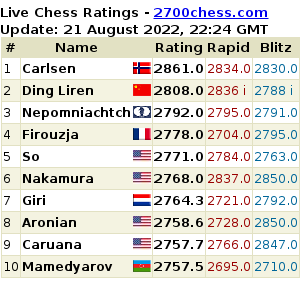 In revoking his GM title, there are delicate procedural matters to consider, and probably FIDE loses (for now). For his 3-year suspension, there are two points. First, I don't see why they made it retroactive to September 6th, rather than something like April/May, when he voluntarily withdrew from playing. Maybe the full EC decision would explain it better, but this does not follow standard protocol in similar sports cases. Effectively, they increased his ban by 4 months. Second, if they are giving him "credit" for cooperating by not revoking his IM title, yet this was never a legal possibility in the first place, then this "credit" should be applied to the sentence length, say a reduction of 3 or 6 months. So he might be able to move the date of his return to late 2017 or January 2018, rather than September 2018. I wouldn't call this "winning", but it might make a difference to him. Appeals are sometimes made for such reasons, but as you say, with Nigalidze I don't expect it. Опубликовано Olekr2 в 25 Декабрь, 2015 - 19:20. Какая добрая душа перевела бы на русский? Опубликовано ZOMG в 25 Декабрь, 2015 - 19:26. Г-н Ваткинс занимается буквоедством, то бишь изучением различных аспектов незаконности решения Фиде лишить Нигалидзе звания гроссмейстера. Опубликовано Manowar1 в 25 Декабрь, 2015 - 20:53. Опубликовано Olekr2 в 26 Декабрь, 2015 - 03:23.